A 9-year-old girl suffered a fractured femur when her 16-year-old sister fell off the dockless electric scooter they were riding and it crashed into a tree in City Heights, police reported Tuesday. It happened shortly before 7:35 p.m. Monday in the 4200 block of Dwight Street, San Diego Police Officer John Buttle said. 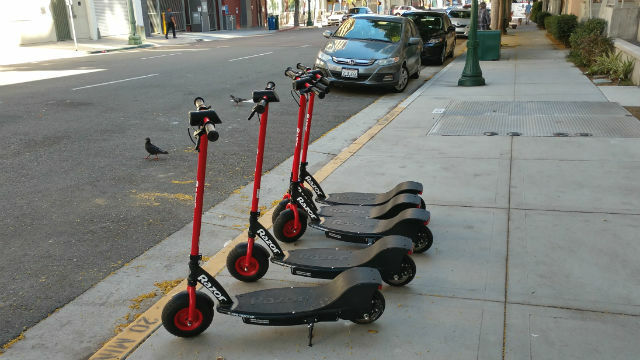 The two were riding on the scooter, with the younger girl closest to the handlebars, eastbound on the south sidewalk of Dwight Street, Buttle said. The older girl fell off the scooter, causing the younger girl to lose control of the scooter and crash into a tree, Buttle said. The victim suffered a fractured femur and was transported to a hospital, Buttle said.